French roulette is a game you may have noticed in the casino lobby once or twice, but never actually played. Even though it's the 3rd most popular variant of roulette, you decided to pass on that unfamiliar table design and all those bet names you didn't understand. French roulette is a little different to American and European roulette, but it's essentially the same game at heart. 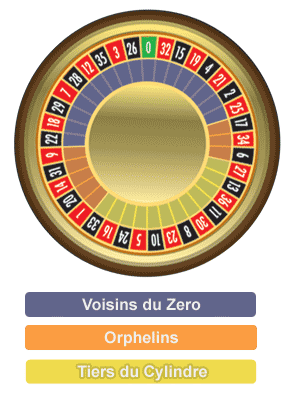 So I'm sure this version of roulette won't seem so strange after my quick guide to playing French roulette online. French roulette is essentially European roulette with a different table layout. Honestly, if you just took a European roulette table and shifted the placement of a few of the betting areas around you would be left with French roulette. Most of the outside bets have also been renamed to their French alternative, but they all work in exactly the same way. For example, the first "dozen" bet is referred to as "P-12", which stands for "Premiere 12" or "the first 12" in English. The main addition to most French roulette tables is the racetrack betting area. This betting area can occasionally be found on European tables, but it's native to the French version of roulette. Note: Some online casinos offer a "French roulette" table, yet they keep the same table layout as the European tables. This just goes to show how European and French roulette are the same on a structural level. The only reason they call it "French" is because they have added the racetrack bets on the side. 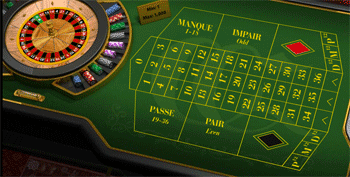 French roulette vs. European roulette table layout. The French roulette table and wheel. The European roulette table and wheel. 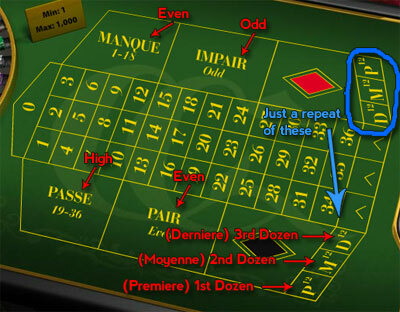 The french roulette bets explained. If you've played roulette before, you'll be familiar with all the different types of bets and their payouts already. The only thing you need to get used to with French roulette is the alternative layout and a few different naming conventions. Here's a table of the differently named outside bets in French roulette and the corresponding American/European bet names. Note: The red/black and column bets have symbols or icons instead of names, so there's no need for any translations on these outside bets. The same goes for the inside bets. This is a just a brief introduction to the racetrack in French roulette. For a more thorough guide, check out my called bets page. Screenshot of the racetrack betting section on the French roulette table at SkyVegas. The racetrack allows you to place bets that cover various sections of the roulette wheel. Voisins du Zero (neighbours of zero) – covers 17 numbers surrounding (and including) the green 0. Tiers du Cylindre (thirds of the wheel) – covers 12 numbers roughly opposite the "Voisins du Zero". Orphelins (orphans) - covers the remaining 8 numbers not covered by the two call bets above. A diagram to show the wheel coverage of the 3 fixed call bets in roulette. 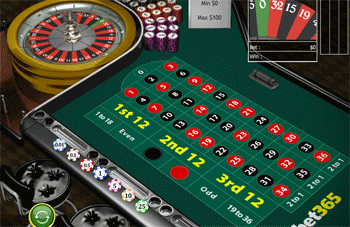 Neighbours – covers 5 neighbouring numbers on the roulette wheel. So if you place a chip on the number 1 on the racetrack, you will bet betting on the numbers 14, 20, 1, 33, 16. Therefore you'll be betting 5 chips in total. This kind of bet is perfect if you want to quickly cover a specific section of the roulette wheel without having the manually place each bet on the table yourself. Example of the 5 numbers covered when betting on the number 1 red on the racetrack. Note: Racetrack bets are sometimes referred to as "called bets" as you have to "call" or "announce" them at the table when playing French roulette in a live casino. French roulette is just like European roulette but with a different table layout, so they both have the same house edge of 2.70%. La partage / en prison rules. Some online and offline casinos offer the la partage or en prison rules on their French roulette tables. Both of these rules halve the house edge on all evens bets from 2.70% to 1.35%. La partage – You get half of your evens bet wagers back. En prison – Your evens bet is held "in prison" for one more spin. You will either win or lose this bet on the next spin as normal – it's just like you're getting another chance. Online roulette casinos with either the la partage or en prison rule. Which is best; European, American or French roulette? Well first of all, American roulette is basically European roulette with a house edge that is almost twice as bad (5.26% as opposed to 2.70%), so that's American roulette out of the question. So it's between European and French roulette. Honestly, they're both as good as each other so just stick with the one you enjoy playing the most. I'm sure the majority of people will prefer the more familiar design of European roulette. Plus, it's not as though those racetrack bets are exclusive to French roulette tables only, as they're found on a bunch of European tables online these days too. You've played the game before and prefer the design. It's a nice alternative, but for the most part it's simply an alternative than a favourite. Worth trying at least once. Although, if you want to experience a little something different you should check out three-wheel roulette or mini roulette – they're more wild and interesting.